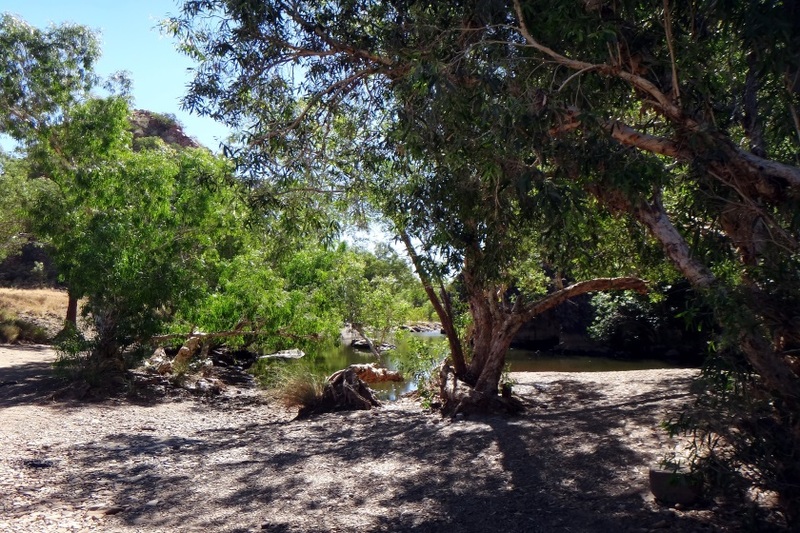 One of the most popular spots in Halls Creek, this is a palm fringed, spring fed, permanent freshwater pool on the Black Elvire River that has long been a refreshing stop for travellers along the dusty Duncan Highway. Palm Springs is known as Lugangarna in Jaru language. It is a famed 'oasis in the desert'. There are striking rock wall reflections and abundant local wildlife dependent on this water source. Afghan teamsters are thought to have planted the original date palms found at Palm Springs. 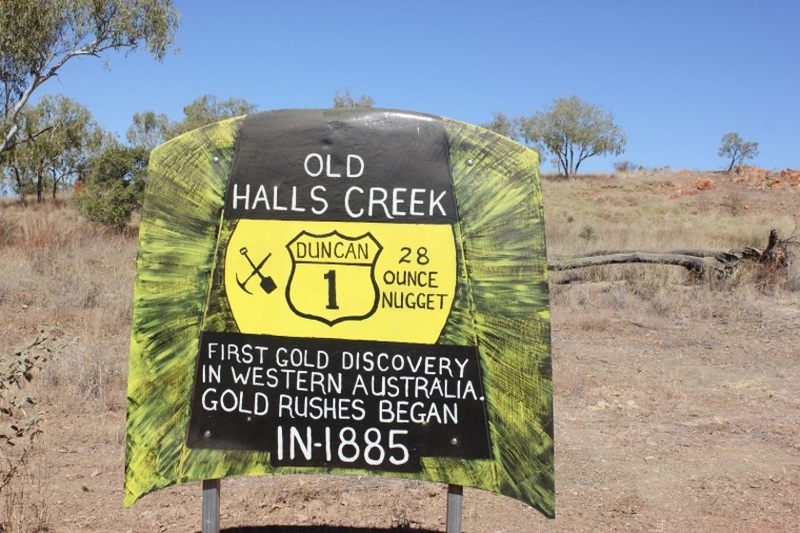 They played a prominent role in the early days of Halls Creek. Afghan man Sam Hazlett and his Aboriginal wife Duddru lived at Palm Springs for many years. 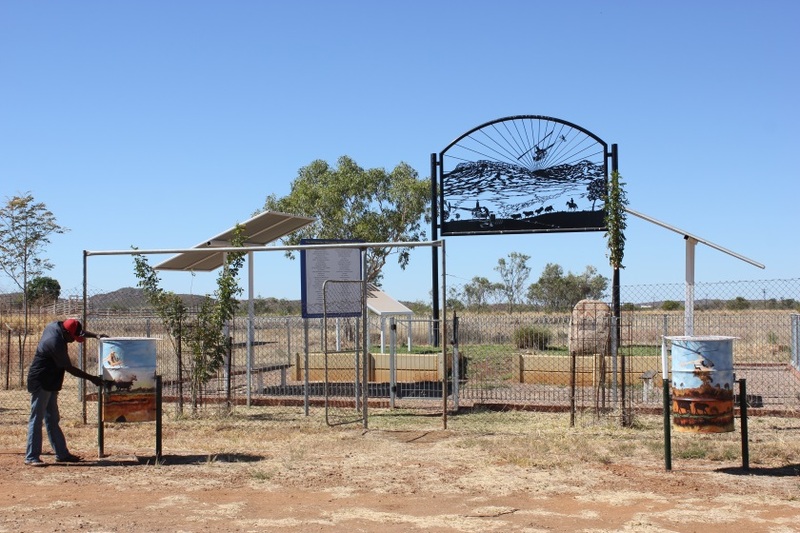 Sam used the springs for drinking water and to grow vegetables, which he sold in Halls Creek. An old Aboriginal man called Wellman lived at Palm Springs and worked in the gardens with Sam. He was known as 'Wellman' because he was the man who got the water from the well. Wellman Road in the Garden Area of Halls Creek is named in his honour. Sam Hazlett maintained this valuable water resource by regularly cleaning out the reeds and overgrowth. He passed away in the 1980's and Palm Springs has been unoccupied since that time. Many people in Halls Creek stress the importance of maintaining and protecting the natural and cultural values of this place. 24 hour camping, Eco toilet and rubbish bin provided. Palm Springs is on unsealed road approximately 40 km from Halls Creek. Duncan Road is open to all vehicles however a 4WD is advisable. Check with the Visitors Centre for current road conditions.